Shoreline Area News: Beach orcas are still missing - do you know anything? Beach orcas are still missing - do you know anything? The stolen orcas have not yet surfaced. The art works, by Harro Scharbau and Emily Eng, were removed from their installation at Kayu Kayu Ac park in Richmond Beach. 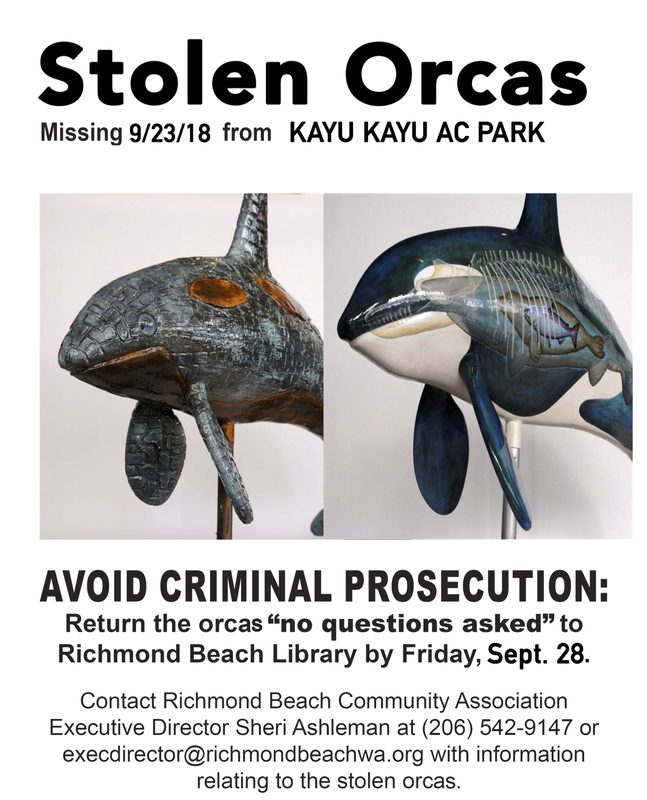 The Richmond Beach Community Association, which commissioned and owns the art works, has made a "no questions asked" offer if the orcas are returned by Friday.